Clumping litters make cleaning up waste significantly easier and less messy, none more so than Arm & Hammer Clump & Seal Cat Litter. We've looked at how the competition compares in terms of dust levels. Whether you’re a first time cat owner or a seasoned pro, finding the best clumping cat litter can be a daunting task. There are so many brands of cat litter out there that it can be a bit overwhelming unless you’re well informed on the differences between them. Easy cleaning is usually a huge factor when deciding which litter is best to purchase. 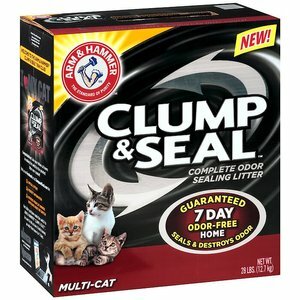 We found that Arm & Hammer Clump & Seal Cat Litter is the best dust free cat litter around. Most people assume you can pick up any old litter off the shelf and see the same results as you would with a high quality brand of cat litter, but that simply isn’t the case. Clumping cat litter is probably the most commonly sought after type of litter, but do you know the full list of benefits and what to look for? Keep reading and we’ll walk you through finding the best clumping cat litter to buy for your kitten or adult cat, including how it can end up saving you money. Cat litter comes in many forms, though you can separate most into two categories; clumping and non-clumping. It should be pretty straightforward what the difference between them is by the names. One litter forms hard-clumps when and the other does not, bet you can’t guess which one is which (wink). The best clumping cat litters are made with a substance called bentonite clay. It’s a super absorbent material that binds together when it comes in contact with any liquid, forming hard solid clumps. What difference does it make to you? Well, anyone who’s ever used non-clumping cat litter will tell you that it’s a nightmare to remove urine without replacing pretty much the whole box. The best thing about clumping cat litter is that removing solid clumps is straightforward. With clumping litter you don’t have to waste any litter that hasn’t come in contact with the liquid, therefore saving you time and money. Let’s take an in-depth look and review a handful of the products above. Below is a list of the best dust free cat litters that make cleaning up easy. If you’re looking for an affordable clumping cat litter, look no further. This cat litters advertises a 100% dust free formula and a 7 day odor-free home guarantee. Given that it more than lives up to those claims, we’ve rated it as the best clumping cat litter money can buy. It’s formula makes use of Arm & Hammer’s world famous baking soda to eliminate odors on contact, and it really does work. It’s by far and wide the best litter to prevent odor escaping. 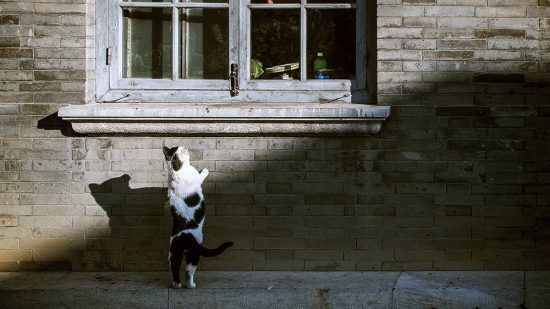 We discussed it’s odor protection properties in full depth over at our post about the best odor preventing cat litters, so we’ll keep that short here. The clumps it produces are like tiny rocks, and doesn’t kick up any clouds of dust when a scooper is run through it. Clean up is quick, easy and painless. No need to sweep mounds of dust out of the bottom of the tray when you’re replacing it either. It has a really light scent that isn’t overpowering, which is more than adequate given the odor-prevention properties. Described by reviewers as the “Holy Grail of Cat Litter”, it’s no surprise that Arm & Hammer tops our list as the best clumping cat litter brand. Check out more of the outstanding reviews and consumer experiences with this cat litter by clicking the button above. It’s a bold move naming your brand the World’s Best, but they aren’t far off being right. This clumping cat litter comes in at a close second place on our best cat litter list. The clumps it creates are nice and small and as such is super easy to clean up. This also means that you don’t end up wasting half the box every time you clean it, so it lasts a fairly long time. Our only gripe is that it doesn’t protect from odor as well as the Arm & Hammer cat litter. However, if you’re willing to sacrifice the odor protection for convenience, then this may be the best clumping cat litter for you. It’s biodegradable so it can be flushed down the toilet which is ridiculously convenient. Clean up doesn’t get easier than that. We did notice that it can be a bit hard to remove from the bottom of the box, though this is credit to it’s outstanding clumping abilities. The best way to combat this is to fill up the box with about 3 or 4 inches of litter. This serves to stop urine making it’s way all the way through to the bottom of the box. All in all, it’s a solid contender for the number one spot, we just value odor protection too highly to place it above Arm & Hammer. 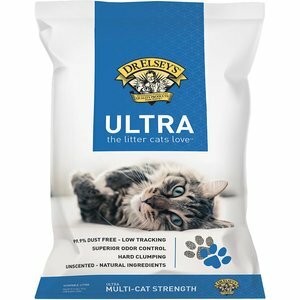 This premium clumping cat litter from Dr. Elsey’s is a long time favorite among cat owners for the value it offers. It’s made from all natural materials and as such it’s hypoallergenic. 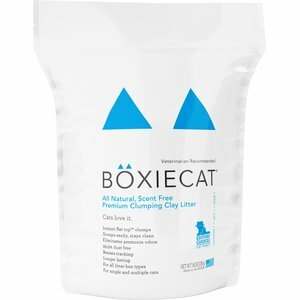 This is great for cats that are sensitive to fragrances and certain chemicals often used in clumping cat litters. 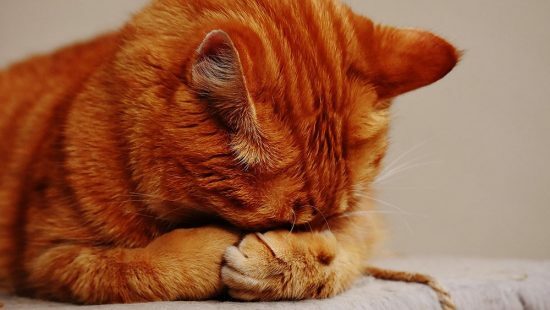 It’s also a fantastic choice for particularly fussy cats who clean their paws relentlessly after using a litter box, since it’s the least likely to be harmful when ingested. It also promises a 99.9% dust free rating, though it definitely kicks up a tiny bit more dust that the World’s Best litter. 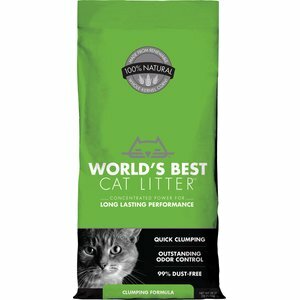 It forms solid clumps that don’t break down when cleaning up, making it the ideal clumping litter for sifting or mechanical litter boxes. Not the front-runner in the race to defeat nasty odors, but it does a respectable job of containing them. Nothing to worry about providing the litter box is cleaned regularly. Take a quick look at the amount of positive reviews this product has by clicking the button above. 99.9% dust free and completely natural, Boxiecat is the go-to choice for cat owners looking for the best value for money. It forms really hard clumps which is great for easy clean up. The clumps are a reasonable size, not as small as The World’s Best, but this makes them easier to catch with litter scoops. Despite being unscented, actually does a really good job of covering up the smell of urine. We really like that it’s scent free, though that’s something that comes down to personal preference so it doesn’t affect it’s rating. 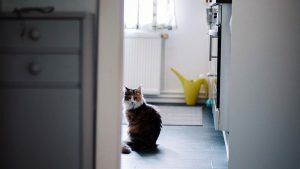 Quite a few cat owners (us included) find that scented clumping litters often exaggerate the smell of urine and cause it to linger around the house. They sell in 16lb and 28lb bags, and at the time of writing the 28lb bag costs only a few dollars more, so we’d recommend stocking up while you can. The larger bag tends to last around a month if you have two cats. We were extremely happy with the quality of this cat litter, and it really is hard to argue with the value for money it provides. If you’re on a tight budget, this one’s for you. Check out the current prices using the button below. 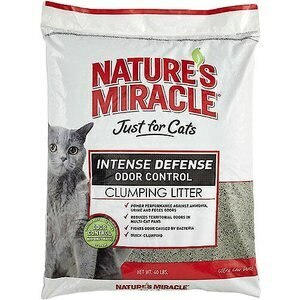 Nature’s Miracle is a top quality clumping cat litter that’s perfect for use with multiple cats. It’s fast clumping, so urine is contained quickly and there’s barely any noticeable smell. We didn’t see any dust at all, which is a huge relief and ensures your cat has the best experience possible. No cat likes dusty paws and it can put some off using their litter box. It achieves much the same in the clumping and odor departments as the top rated clumping litters on our list. The only reason it’s this far down the list is that it doesn’t offer the same value for money as the others above it. Aside from that, it’s an all round solid product from a very well respected brand. Best if you aren’t on a tight budget though, since it can get quite pricey. 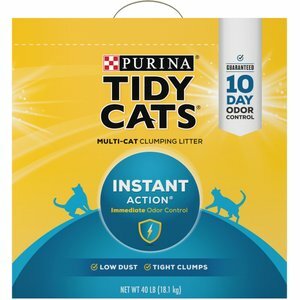 Purina are one of the best and biggest brands in the pet industry and this instant action clumping cat litter is a reflection of that. It clumps very, very quickly and does manage odor reasonably well, though not quite as well as the Arm & Hammer cat litter we rated as the best. We found the clumps to be a little on the dusty side but they were solid and super easy to scoop out. As with World’s Best cat litter reviewed above, it can get a little sticky if it clumps to the bottom of the litter box, but again, an adequate amount of litter in the box should prevent this. You get an awful lot for your money here, and it meets most of the criteria we look for in the best clumping cat litter. It’s hard to argue with the value considering they’re such a well known brand. Putting this first as it’s usually the biggest deciding factor in which cat litter brand you end up buying. There’s no point having the best cat litter if it’s costing you a fortune. The price of clumping cat litter can vary significantly depending on the quality and brand name. We’ve made our choices with the best value for money in mind. Buying in litter in larger quantities is usually the best way to get cheap cat litter. Most brands sell a small and large version of any litter, and more often than not you will find that the best value for money lies in the bigger bag. You can purchase clumping cat litter in both scented and unscented variants. Scented is the best choice providing your cat has no allergies that will cause irritation. Masking the smell of cat urine is a real task, but scented cat litter does a lot to help. Some even pair up with well known fragrance battlers like Glade for that added bit of protection against nasty smells. Odor control is slightly different. This term refers to the litters ability to lock in ammonia smells quickly. Even some unscented litters are so good at this that no smell escapes from the litter box at all. There are even options to improve the odor controlling properties of your existing cat litter. If you do purchase a clumping litter and find that it isn’t the best and containing odors then you needn’t worry. 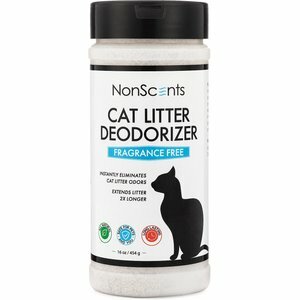 Take look at odor-fighting products like NonScents Cat Litter Deodorizer, which is designed to give any litter superhero odor fighting abilities! Clumping cat litter is generally the best option for odor control, but some brands go above and beyond to offer other mechanisms for controlling odor. It’s important you read the label to see what brand offers the best odor protection. Arm & Hammer utilize their world famous baking soda to break down the smells and that seems to work the best. This is something that’s often overlooked, cat litters produce a lot of dust. It makes cleaning up unnecessarily difficult and, unfortunately, clumping cat litter is the worst culprit. The best brands are aware of this problem and have tried to combat it. Look for clumping litters that have a dust free rating of 99% or more to make sure you get the best dust protection possible. No cats like having dusty paws, so getting a dust free cat litter is key to getting your cat or kitten to use the litter box without any fuss. Last but not least, not all clumping cat litter clumps in the same way. There are some that are designed to create small clumps, and others that are best for large clumps. Some clump extremely quickly, while others can take a few seconds. A quicker clumping action means less of a chance that smells can escape and roam freely around your house. Most people are best opting for a clumping litter that creates small clumps. They form quickly to lock in smells, and are much less wasteful. The only downside is that smaller clumps can sometimes slip through litter scoops. Be sure to arm yourself with a suitable litter scoop if you buy clumping litter that forms smaller clumps. With that said, which cat litter is the best still remains dependent on your own preferences and needs. Take the points above into consideration, but remember to make the choice that’s right for you and your cat. I’ve been asked this question so many times in the past, and rightly so. The biggest concern with any kitten should be it’s safety. Many cats may only ever need litter as kittens, so it’s a question that pretty much every cat owner needs answered at least once. The main concern people have when it comes to clumping litter and kittens is that clumping litter contains sodium bentonite clay. Some of even the best cat clumping litter brands use quartz silica too, and both substances are entirely safe providing they aren’t ingested. They serve to soak up liquids and dehydrate waste, making it much easier to clean up. Consumption of clumping litter in small amounts usually causes no problems for adult cats. Short of an upset stomach, there’s no real cause for concern. However, kittens who ingest more than a small amount of litter could potentially become seriously ill.
Kittens who enter their litter-box with damp paws might end up with a fair amount of litter stuck to them. When washing later, there’s a chance they could ingest a substantial amount of the chemicals used to power the clumping action. Very young kittens may not even differentiate litter from food. They are naturally curious and may try to eat the litter, especially when they see the wet clumps within it. Here’s my answer, it’s best that clumping litter is only used with kittens older than 4 months. This is time enough to make sure the kitten knows that litter is not food. While many may tell you that they’ve had no problems using clumping litter with their kittens, it’s always better to be safe than sorry. 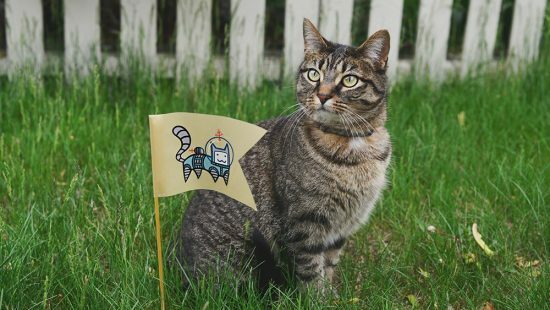 We think top entry litter boxes are an ingenious solution to avoid litter tracking, and surprisingly found that our cat even enjoyed using one more. Let's take a quick look at some of the benefits we saw when changing, some aren't so obvious at first! Top entry litter boxes work wonders to reduce tracking without the need of a litter tracking mat. Here are some of the best around. If you're looking to eliminate nasty litter smells, you needn't look further than a bag of Ever Clean Extra Strength and a few simple tricks that keep things fresh.